Jesse Gonzalez decided to start 911 Restoration of Long Beach with one goal in mind- to help the people in the Long Beach community. Jesse’s passion for helping people allows him to understand what people want and need when dealing with a disaster. Whether you are experiencing a pipe burst or sewage backup in your home or commercial building, Jesse and his team will arrive within 45 minutes of your call. Once the team arrives they conduct a free visual inspection and discuss the repair timeline with the property owner to tailor the repair plan to best fit their needs. 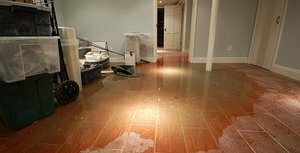 Jesse and his licensed, bonded and insured technicians are trained to repair and restore all types of properties. 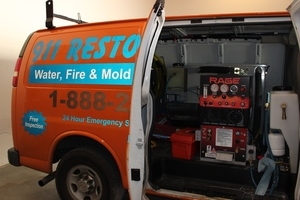 Water damage repair, mold removal, fire and smoke remediation, sewage cleanup and disaster restoration are all services that 911 Restoration Long Beach offers, with a strong emphasis placed on mold. Mold is a big problem in the Long Beach area, and Jesse wants to make sure that homeowners are not at risk of developing health issues due to an unknown infestation. 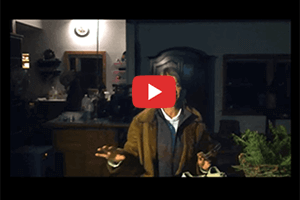 He emphasizes how important it is to get your home tested, especially if you live on an older property.Even if you do not see mold in your home, it still may be there. Jesse says if you find yourself having trouble sleeping, coughing or experiencing other allergy-like symptoms, then you may have a mold issue. Our free mold testing makes it easy to get a technician to come take a look at your home without worrying about losing money. Whenever someone is in need of home restoration there is always an element of insecurity when it comes to reaching out for help. Jesse wants homeowners to know that they can trust 911 Restoration Long Beach to do quality, honest work.911 Restoration Long Beach cares as much about restoring homes as they do comforting their customers. Every property and homeowner should know that they never need to hesitate to call. We look forward to helping you and addressing all of your concerns. If you are in need of any type of home restoration work, call the water damage restoration pros at 911 Restoration Long Beach.and we will give you the maximum amount of benefits at the most minimal cost and a path to your Fresh Start!